it must be what he does. HCF is a secular, non-political, non-governmental, non-profitable, registered charitable society with a broad experience in uplifting the people with mental illness and intellectual disability, conducting relief operations, health camps, blood donation camps, national integration camps for the youth, guidance and counseling programs, disaster management trainings, medical equipments distribution etc. Healthcare foundation is formed and registered under the ‘Societies registration act of 1860’ in the year 2010 and is affiliated to ‘Indian Council of Social Welfare’, ‘Nehru Yuva Kendra’ and ‘State Youth Welfare Board’. 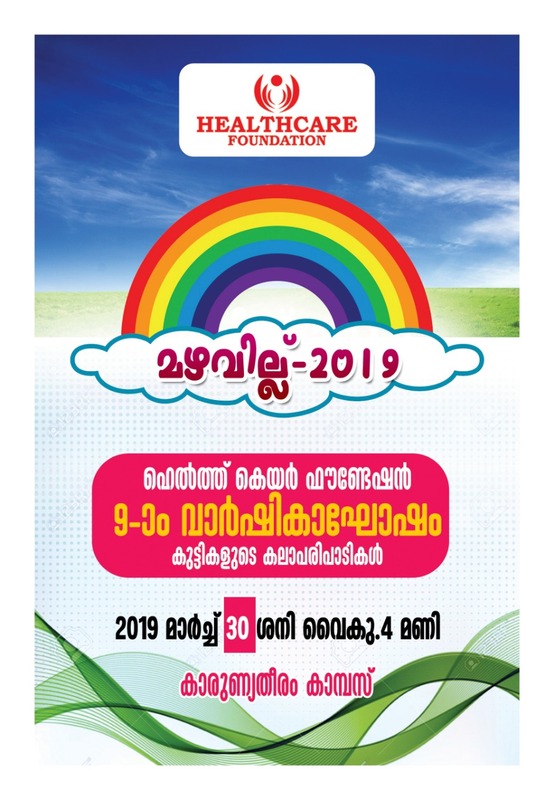 Annual Day Celebration of HCF "Mazhavillu 2019"
Ever since its formation in 2010, Health Care Foundation is keen on bestowing the society with care, support and guidance . Various activities of HCF run with the magnanimous support of generous hearts that had always sharpened our minds to perform more to the society and its people . It has been 9years, since Healthcare Foundation opened its doors to serve the public and relive the people with physical, Intellectual and multiple disabilities through various social and philanthropic programs. And now, HCF is celebrating it’s 9th anniversary. 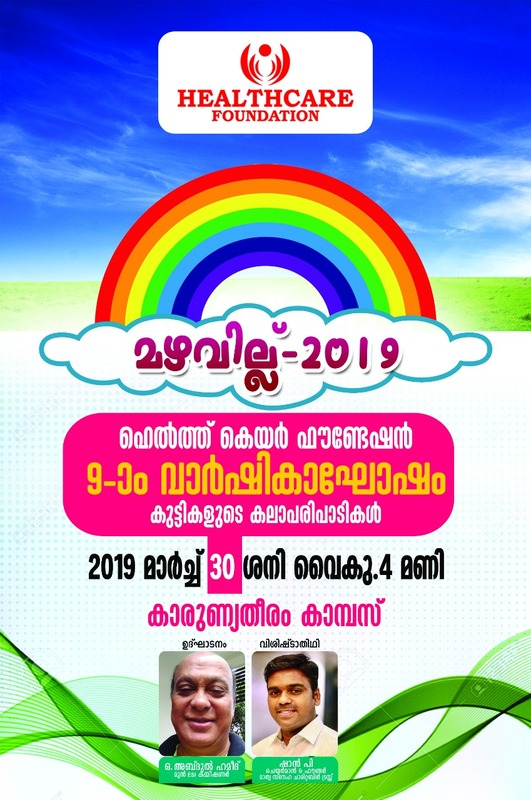 We would like to thank you for your great support and gracious cooperation you have been continuing towards the meritorious activities of the organizatiion.With immense gratitude, we invite your honoured presence to the 9th annual day of HCF"MAZHAVILLU 2019"which is being celebrated at 4.pm on 30th March 2019 Saturday at Karunyatheeram Special School Campus. 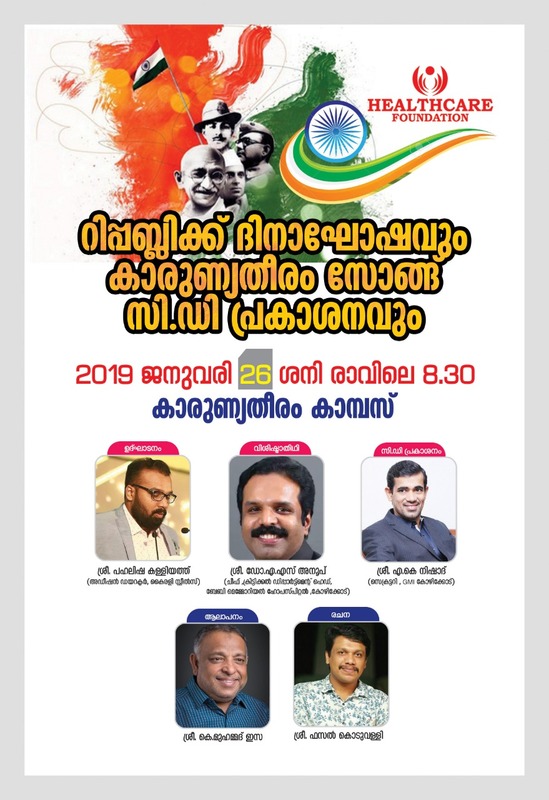 We have organised a special Republic Day celebration on saturday 26/1/2019 at our Karunyatheeram campus.The Republic Day celebration will be inaugurated by Mr.Pahalisha Kalliyath(Additional Director,Kairali Steels) at 8.30 am.The C.D Publishing of Karunyatheeram song(Lyrics :Mr Fasal Koduvally,Sung by:Mr.Muhammed Easa)will be by A.K. Nishad (Secretary GMI Calicut)in the presence of Dr.A.S. Anoop(Chief Critical Department Head) the chief guest of our function. 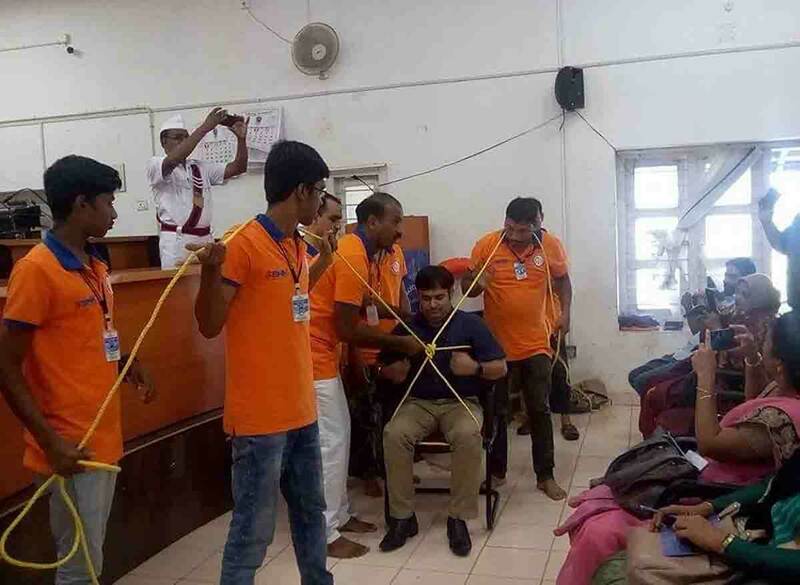 Healthcare Foundarion in Connection with SIMC(State Institute for the Mentally Challenged) Thiruvananthapuram conducted a One day "Parental Training Progaram at Karunyatheeram campus".More than 150 persons participated in the class lead by Mr.Dhanesh Kumar. “Kaithiri” is an innovative project to be implemented by Kattipara Grama Panchayat to provide free Ayurvedic treatment, medication, counseling and therapies to differently abled children. 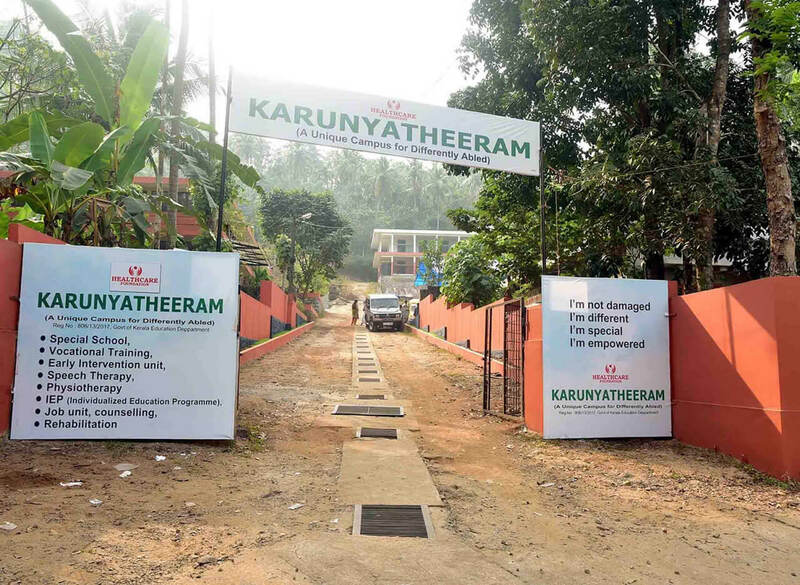 The Treatment Center is set up in cooperation with Health Care Foundation and Ayurveda Department at the Karunyatheeram campus; Kaiyodiyanpara,Poonoor. 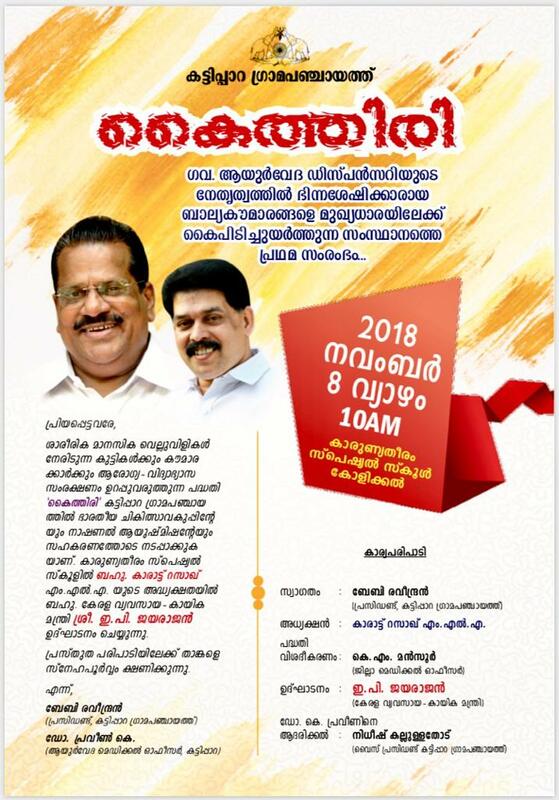 The inauguration of the project will be held on November 8,2018 at 10.00 am by Shri E.P.Jayarajan(H’ble Minister of Industries and Sports) presided by Shri.Karat Razak M.L.A. 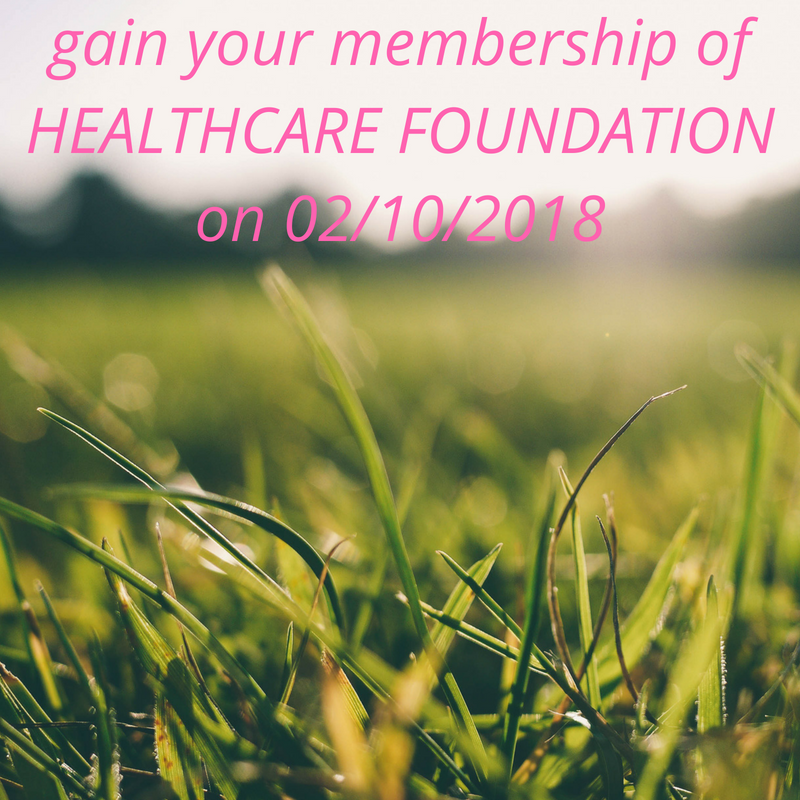 "The simplest acts of kindness are by far more powerful then a thousand heads bowing in prayer"--Mahathma Gandhi Yearly Membership updation of Healthcare Foundation is being planned to register on 2/10/2018,Gandhi Jayanthi Day for selfwilling volunteers of above 18 years by attending a training of 4 hours duration from 9.30 am to 1.30 pm at our Karunyatheeram campus .A certificate of membership will be given after training. India's gaining Independence was a tryst with destiny as the struggle for freedom was a long and tiresome one;witnessing the sacrifices of many freedom fighters who laid down their lives on the line. 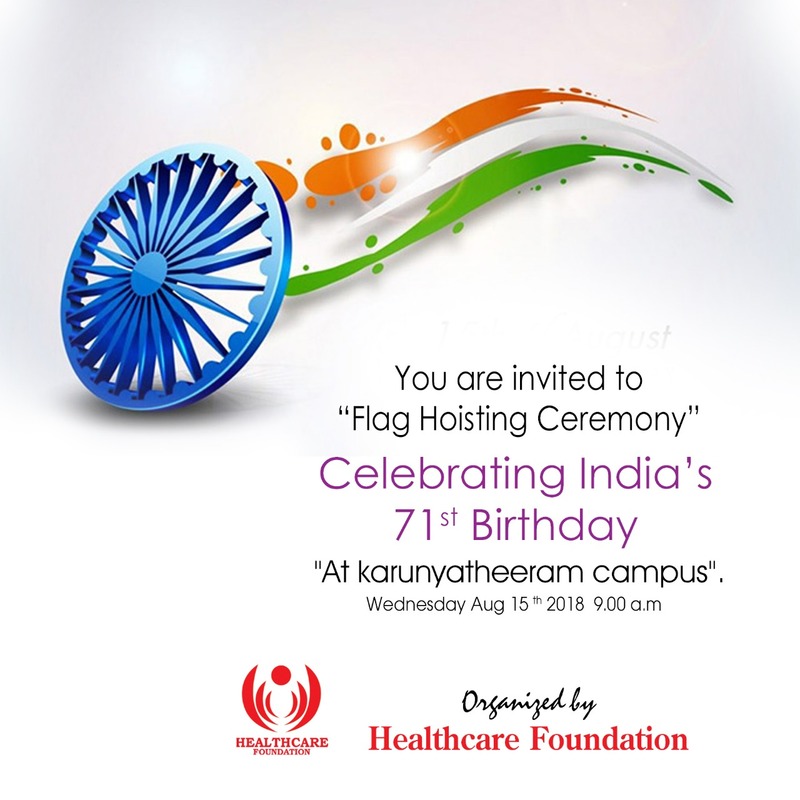 Our motherland,India,7th largest country in the world is celebrating it's 71st Birthday.Karunyatheeram Special School will be celebrating Independence Day on Wednesday August 15th ,2018 at 9.00 a.m,at our Karunyatheeram Campus. Karunyatheeram campus which has been established in 2010 and recognized by Govt. of Kerala. Community Health Clinic provides free skilled and compassionate healthcare for medically underserved people. Disaster management team plays a key role in directly helping the public that fall prey to the natural disaster. Healthcare Foundation is a panicle of compassionate hearts that surrounds the needy and the deserved with the warmth of gentle care by escorting their needs, desires and aspirations. "Healthcare foundation has been in the forefront of welfare activities and I extend my support to the prestigious organization for all future endeavors." 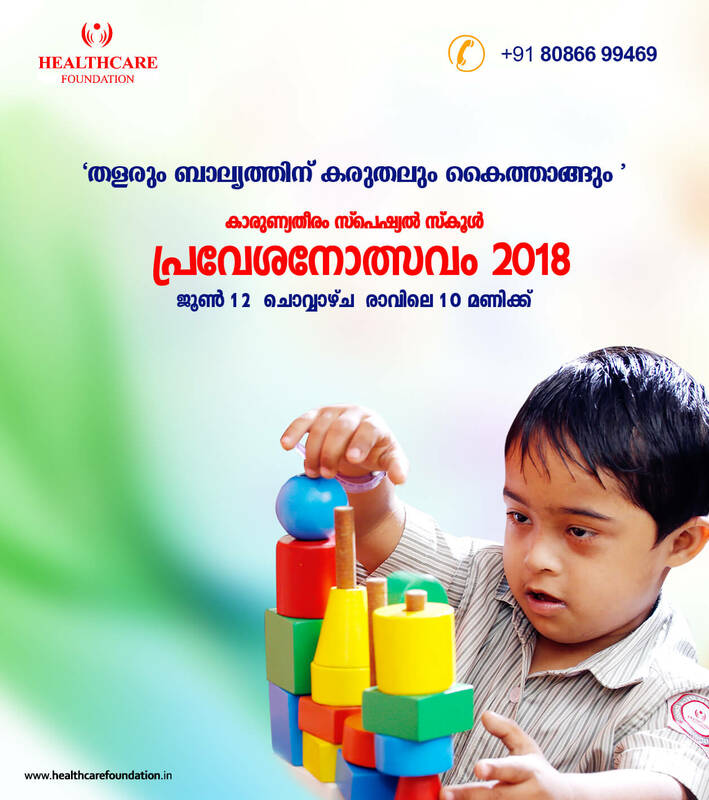 "The special care and nurturing provided to the deserving children by the officials at Karunyatheeram which comes under Health care foundation is worth appreciating." "I am impressed by the services provided by Healthcare Foundation,of which, the blood donation camp as well as the Palliative care are the two highlights among many other services provided by Community Health Clinic." "The training provided by the disaster management, a part of Healthcare Foundation is very useful and is necessarily the need of the generation." "The dedication to social welfare portrayed by the Healthcare Foundation is an inspiration to all." "I'm proud to say that I support a prestigious NGO like Health care foundation." "What I like most about Health care foundation is their undying enthusiasm towards Social welfare activities." "Dedication, Creativity and Willingness to shed the tears of the needy are what attracted me towards Health care foundation."